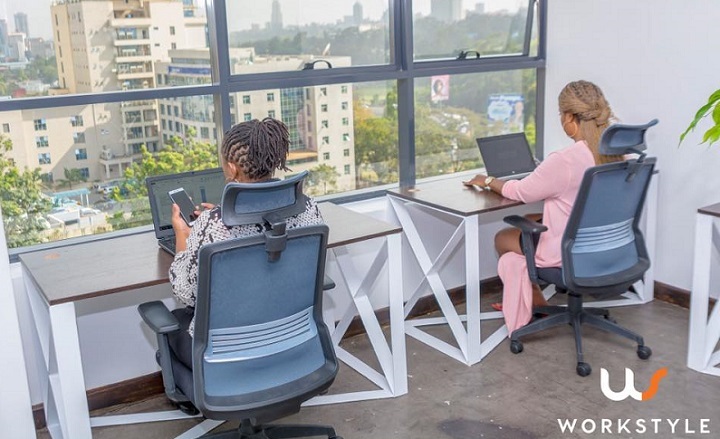 On-demand serviced office and co-working space Workstyle has launched in Westlands, Nairobi, aimed at enhancing creativity and collaboration among businesses and individuals who want value for money. Workstyle claims to be ideal for businesses seeking flexible workspace solutions that do not involve long leases or additional staff. It is targeting tech and business startups, event organisers and young high-growth businesses with several staff members in need of a shared working space or a private office in a community setting. Companies already working from the space are in the financial, technology and new media industries, while there are also independent consultants, freelancers, and international clients who are in Nairobi temporarily. Workstyle has a common lounge for social or informal meetings, separate from its two boardrooms for executive meetings. The co-working space is also working with various event organisers to hold in-house events with guest speakers and industry experts. With Nairobi up and running, Workstyle said the concept is relevant in other cities in the region and plans to take the concept across Africa. “There is a high sense of community and the presence of peers within the space, fosters innovation as ideas are exchanged, and new technologies created. Businesses spend more time on what they are good at and less time worrying about leases, furniture costs, fundis, printer repair, and detergent costs; and when the space is well designed people enjoy being at work, they are more productive and creative,” said Wairimu.